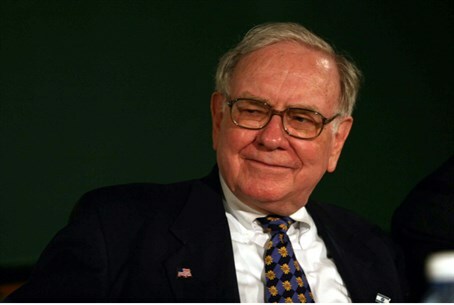 In an interview with Yisrael Hayom, American investor Warren Buffett effusively praised Israel as a great place to invest in advanced technologies and ideas. “Israel is the best place to invest because of its people,” Buffett said. “There is no other place with such high quality people, with the motivation and abilities” that Israelis have. This was especially true, he said, in Iscar, the Israeli company Buffett acquired a majority control of in 2006. At the time, Buffett bought 80% of Iscar, spending about $4 billion. On Wednesday, Buffett announced that he was buying the rest of the company, for about $2 billion. It was a most worthwhile investment, he said in the interview. “From my dealings with Iscar and from what I can see here, I can say that Israel has a very positive future. Iscar will never slow down, even if there is a slowdown in the world economy. Iscar does not stop coming out with new products and providing them to customers. With great management like you have in Iscar, you just sit back and let the car drive by itself. You don't have to do anything other than to rely on good managers,” Buffett said. “Israel needs to continue doing what it does,” Buffett said. “You are a nation of entrepreneurs with fantastic capabilities. You need to continue providing the best and most comfortable conditions for investors. This is the responsibility of the government, which ensures a positive climate for investors.